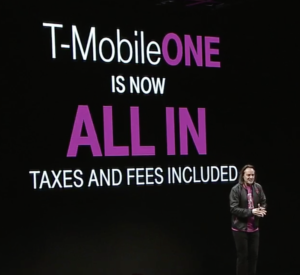 T-Mobile is going to simple flat-rate pricing, with all taxes and fees now included in the regular list price. 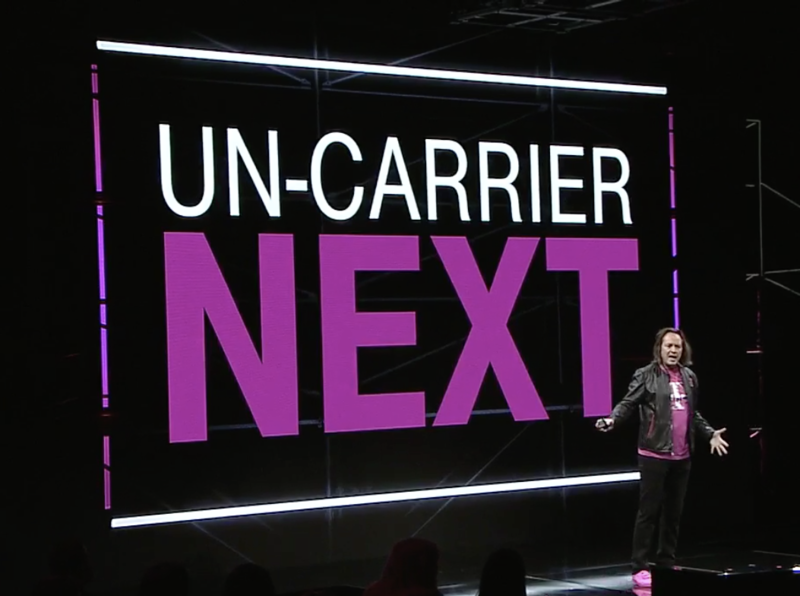 T-Mobile today rolled out its next #uncarrier move during a big event held at the CES trade show in Las Vegas. Amidst the trademark trash talking of competitors, some major new initiatives designed to once again shake up the mobile industry were announced. In particular, T-Mobile is aiming to vastly simplify how cellular plans are priced - putting pressure on other carriers to do the same. But in the process - some of the T-Mobile plans most loved by RVers are being eliminated. Here T-Mobile uses an AT&T bill to illustrate just how quickly hidden taxes and fees can stack up. What You See Should Be What You Pay – Beginning in February, all taxes and other various fees will be included in T-Mobile ONE plan pricing. The especially good news is that this feature is rolling out without a price-hike, meaning that everyone who switches to the new plans should see a drop in their monthly bills to simple easy-to-understand round numbers. You Shouldn't Have to Pay for What You Don't Use – All T-Mobile One smartphone and tablet lines come with unlimited data, but to show some love to families with a mix of heavy and light users, T-Mobile's new "KickBack" feature will rebate customers $10/mo for every line on their account that uses less than 2GB that month. The first T-Mobile One line on an account costs $70/mo, the second $50/mo, and each additional line is just $20/mo - so with KickBack additional light use lines become especially affordable at just $10/mo. Note that KickBack is NOT automatic, after January 22nd you do need to sign each line up for it via the T-Mobile app or my.tmobile.com web portal. 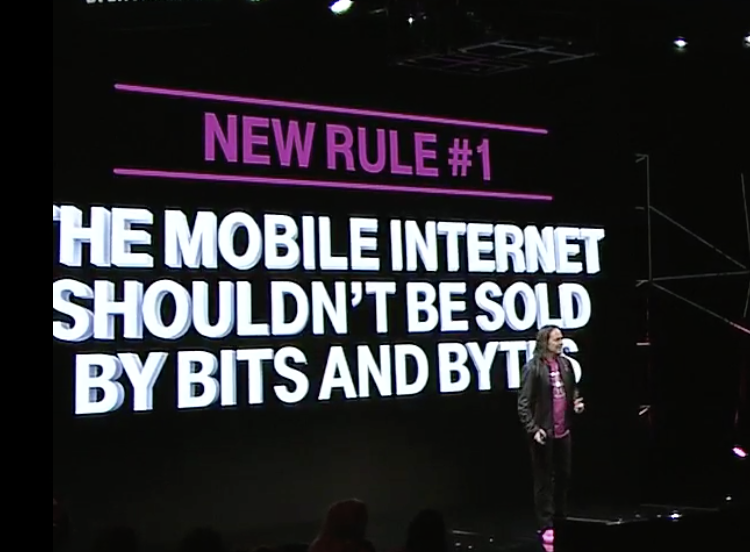 Only YOU Should Have the Power to Change What You Pay – T-Mobile's "Un-Contract" for T-Mobile ONE plans promises that T-Mobile will never raise prices or force you to change plans. This is the first time any carrier has promised to grandfather an unlimited data line forever, without any potential for a future price hike. The new "Taxes & Fees Included" plans are rolling out on January 22nd - and current customers will need to manually opt in to the changes, though for most who are already on T-Mobile One there seems to be little downside to doing so. You can switch to the new plan here. 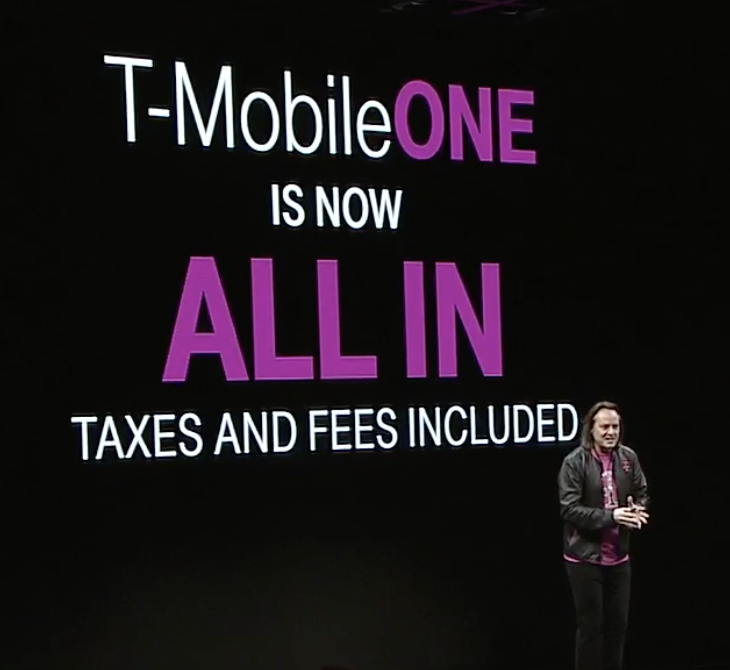 With the T-Mobile One plan, T-Mobile went "all in" on offering unlimited data. 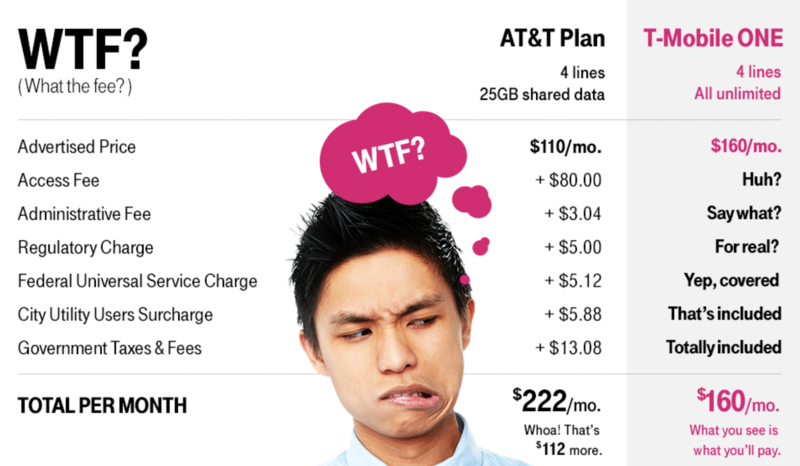 The T-Mobile One plan is actually a bit more confusing and less unlimited than it sounds. Here is how it breaks down - $70 for the first line, $120 for two lines, and $20/ea for additional lines. 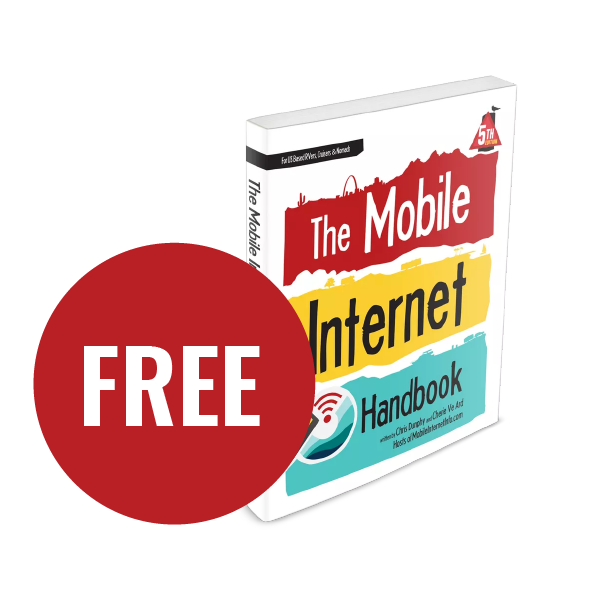 A line can be a phone or a tablet, but NOT a mobile hotspot. These plans offer unlimited high-speed data, but are limited to 480p resolution "DVD Quality" video streaming, and "3G speed" tethering. For an additional $15/line/mo you can add One+ features to as many lines as you'd like, unlocking the ability to manually activate 24hr day passes for HD video streaming. 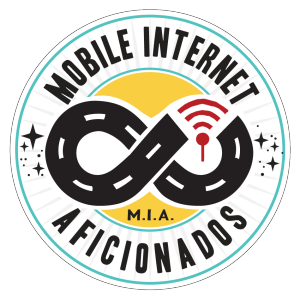 Or for $25/line/mo you can add One+ International, which adds international voice calling features and unlimited high-speed tethering. If you have just a single T-Mobile line, this means that it costs $95/mo to get all the T-Mobile One features. T-Mobile CEO John Leger hosted a flashy event today in Las Vegas at the CES trade show. 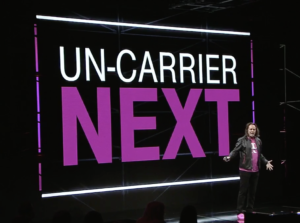 Starting January 22nd, T-Mobile One will be the ONLY plan available for postpaid tablets and smartphones directly from T-Mobile, though current customers are grandfathered and will never be forced to change. This means that the $35/mo 6GB Simple Choice tablet / hotspot plan that we have long recommended will no longer be available to new customers! Also missing entirely from T-Mobile's website now is any mention of Mobile Hotspots, which were in the past supported by the same Simple Choice data plans as tablets. And indeed - T-Mobile media relations confirms to us that T-Mobile One is the only option being offered for tablets, and the old Simple Choice plan is going away for hotspots too. Hotspots are NOT eligible for the unlimited T-Mobile One plan. "Hotspot plans are available.They range from 2GB – 22GB in increments of 4GB. 2GB plans start at $10 (after voice & autopay discount) and a 4GB increment is $15 additional." In other words, a 22GB hotspot plan will cost $85/mo, assuming you also have at least one T-Mobile voice line, and are set up to auto-pay. The pricing isn't horrible - but we were able to confirm that the new hotspot plan will NOT support Binge On video streaming, Music Freedom music streaming, or Data Stash rollover data. Fortunately, T-Mobile's 2G speed unlimited international roaming will continue to be supported. 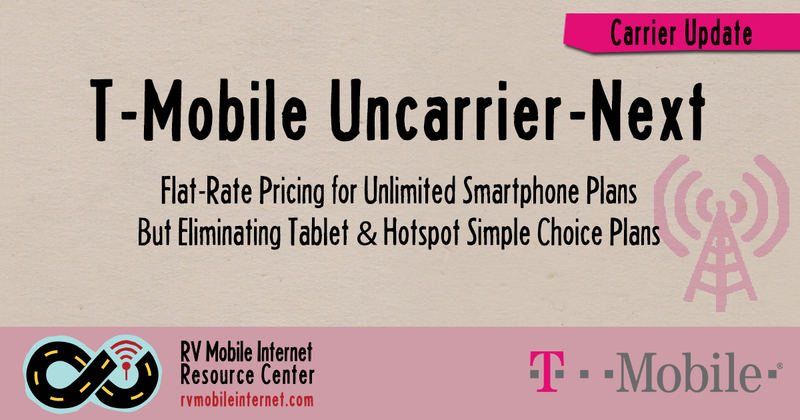 But overall, starting January 22nd, T-Mobile's dedicated mobile hotspot plan will be a LOT less appealing! T-Mobile thinks that internet usage should not be metered, unless you have a hotspot that is. If you want to lock in a postpaid Simple Choice hotspot or tablet plan, you have until January 22nd to do so. This is the cheapest possible way to lock in Binge On video streaming access. 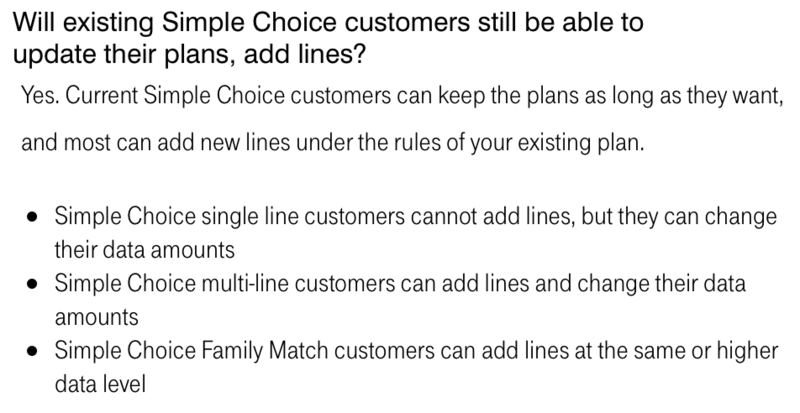 These older Simple Choice plans are no longer available via T-Mobile's website, but they can be ordered via the phone or in a T-Mobile store. But after January 22nd they are gone forever. Once you have one of these plans T-Mobile will never force you to give it up, but if you do ever switch to an unlimited T-Mobile One plan you will never be able to go back to the cheaper data-limited option. For those who want an affordable T-Mobile backup plan (with DataStash you'll bank a lot of data easily for a rainy day) or a way to Binge On to tethered devices - grab a plan while you still can! 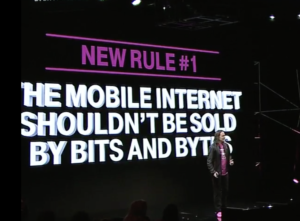 NOTE: This article applies to T-Mobile postpaid plans. T-Mobile's prepaid plans are not changing at the moment, and the prepaid (and more limited) version of Simple Choice seems like it will still be kept around. Do note the T-Mobile's prepaid tablet & hotspot plan does NOT include Binge On video streaming. 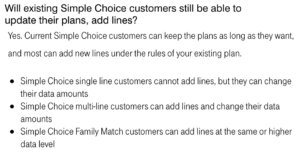 T-Mobile has changed the FAQ - now grandfathered Simple Choice customers WILL be able to change their monthly data amounts! UPDATE: T-Mobile has has changed their initial policy on this, and WILL now allow grandfathered customers to change their monthly data amount. "Existing Simple Choice customers can keep their plans and change their data amounts as needed with their current plan structure. Simple Choice will be around (for these customers) as long as a substantial number of people want it. Beginning Jan 22, new customers can no longer activate service on our legacy plans." T-Mobile has also updated their online FAQ to reflect this policy change. Comparison of the Four Carriers - How do they rate for RVers? This section now open to the public! When this news broke in early January 2017, we provided further information and instructions to our premium members to help guide them through understanding and obtaining these plans. 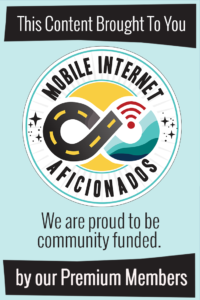 We have now opened this section up so that those considering a membership can see the sorts of extra perks that our members get for supporting this resource center. Want to get tips like these in the future? Consider becoming a premium member for as little as $57/year. This section of this article is for our MIA members only - please do not share this! We have long recommended T-Mobile's $35/mo Simple Choice Mobile Internet plan as a wonderful option to have in any mobile connectivity arsenal. You can get this plan for both hotspots and tablets, or as a "Data Only" plan for smartphones. When you contact T-Mobile (by going into a store or over the phone), you are asking for a Simple Choice POSTPaid Data Only 6GB plan. The plan code they should find is: "SC NAMERICA MI 6GB" (for the 6GB plan). Expect to pay $20 for a SIM starter kit with your new plan, plus an applicable shipping/taxes. Some associates may need a little encouragement to find the plan - either they're just not aware of it, or are being incentivized to sell folks on the new One plans. We're getting a lot of mixed experiences too, with some being insistent the plan doesn't exist (they do!) or that Simple Choice plans aren't changing (they are!). Also, an unlocked AT&T Unite Explore would also be compatible with this plan, and some embedded cellular routers. If you decide to go with a tablet or smartphone, we highly recommend choosing one that is Band 12 compatible, but as long as the device is compatible & unlocked (Band 4 being most important, then Band 2) - the plan will work, just not with their new Expanded Range LTE. T-Mobile does not have restrictions on swapping SIM cards between devices, so don't feel you need to purchase any expensive equipment right away - you can figure that out later. The key point before January 22 is getting a SIM card from T-Mobile, an account established and locking in the plan going forward. But we have discovered that it is impossible to have any Simple Choice plans on the same account as the new T-Mobile One Plan. You can't upgrade just a single line on an account - when you move to the new T-Mobile One plans with taxes and fees included, all your lines on your account will migrate to the new plans - including any hotspots reverting to the new much more limited hotspot plan described above. To avoid this - you can set up a second account with T-Mobile to keep Simple Choice & T-Mobile One plans fully separated from each other. If you intend to have both T-Mobile One lines for phones and a Simple Choice hotspot for tethered Binge On video streaming - we recommend going through the effort to set up two accounts. What Make Simple Choice So Great? If you don't have a $35/mo T-Mobile Simple Choice plan - now is the time to consider getting one. 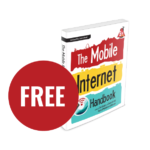 We consider this to be one of the ultimate backup plans to have on board as a compliment to a Verizon UDP or other truly unlimited primary plan. Binge On & Music Freedom - This plan supports Binge On (even for tethered devices), so if you are streaming from one of the 100+ Binge On supported services video will be downscaled to 480p but the usage will not count against your 6GB monthly cap. Almost all music streaming services are included for free too, so you can dedicate a spare tablet or phone with this plan to being the heart of an RV entertainment center. Using an HDMI cable out of the device to a TV will allow you to view the content on the 'big screen' as long as you are content with the lower resolution quality (more in our TV & Entertainment Guide). Although, we have several confirmed reports of successfully using Binge On with streaming devices like Apple TV, Chromecast and Roku - while not officially supported by T-Mobile. Be sure to track your data usage carefully to make sure it's not being deducted from your included data before streaming a lot of content. DataStash - Even if you aren't able to take advantage of this plan every month, your unused data will accumulate into your DataStash and will not expire for a year. You can bank up to 20GB in your Stash this way, leaving you with an allotment of high-speed tetherable data to use if you are someplace where your primary Verizon or AT&T account has poor performance. 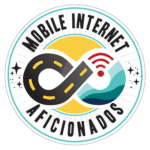 International Roaming - This plan roams across North America at full speed, and you get 2G speeds almost everywhere in the world. All that for just $35/mo for 6GB of data - or if you need more for regular tethering you can get 10GB for $50/mo, 14GB for $65, 18GB for $80, or 22GB for $95. Important reminder: These plans are subject to network management. 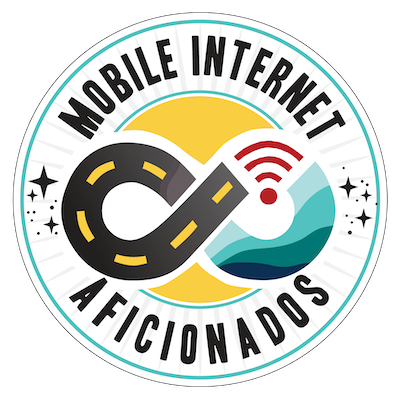 Once your overall usage, including Binge On, reaches 28GB of usage in a month you may experience slower speeds while on congested towers. And indeed on January 22, these plans did disappear from representatives ability to setup, and they are no longer available directly from T-Mobile. Note: If you missed the boat on this deal, we have confirmed with reseller Millenicom that their data plans are still Simple Choice equivalents, so you can get these same features and prices through them.